Alternatively you can browse the content in the pages below. Theme A – More for Less? Centre Directors Professors John Barrett, Bob Critoph, Tadj Oreszczyn, Elizabeth Shove, Benjamin Sovacool and Savvas Tassou prepared the document, with contributions from other Centre staff. The strategy aims to lay out the path for future research investment in the field of reducing energy demand in light of the government’s targets in terms of reducing greenhouse gas emissions. Reducing energy demand deserve a commensurate status in policy and research as does energy supply. A UK research strategy can build on the growing success of the RCUK End Use Energy Demand Centres. The strategy authors recommend seven actions be taken to achieve and effective energy demadn research strategy. c. Equity, Security and justice -security, social justice, inequality and energy demand. 3. Develop a coordinated national programme of EUED research across relevant funders by the EUED centres working with the DECC Chief Scientist, the LCICG, UKERC, the new Smart Energy Systems Catapult. 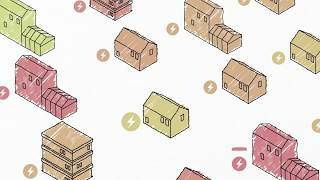 sectors such as a Longitudinal UK Energy Study (LUKES) in collaboration with DECC. 5. Appoint a ‘champion’ for EUED research. 6. Pursue further leadership and engagement internationally. 7. Where relevant, provide basic underpinning research for demonstration and deployment projects by RCUK working with Innovate UK, Energy Technologies Institute and DECC (now Department of Business, Industry and Industrial Strategy (BEIS) to enable research to span the Technology Readiness Levels but also support research directly in demonstration and deployment. A more in-depth exploration of the key issus and research challenges makes up the rest of the energy demand research strategy.